Leukemia Fighter! (CML); I Am Dancing and Traveling My Way Through: Fighting for Fighter Shirts! It was another great year for the Boise, Idaho Light the Night walk for the Leukemia & Lymphoma Society. Along with my friends and family, Dancing My Way Through Leukemia raised $2250, and our little city of Boise is close to $275,000 to donate to blood cancers research and support!! The night was a huge success and I could not be prouder of the Boise Chapter, of the LLS. They work long and hard for those of us fighting blood cancers, and go above and beyond the call of duty. Several years ago, I wrote a post about feeling uncomfortable and unsure about the representation of the shirts that we are all given to commemorate the Light the Night Walk. There were three choices, In Memory, Supporter or Survivor; I felt that there should be another category; Fighter. I found in wearing a "Survivor" shirt, that I was approached by many other survivors; they wanted to know when I finished treatment, and what type of blood cancer I had. 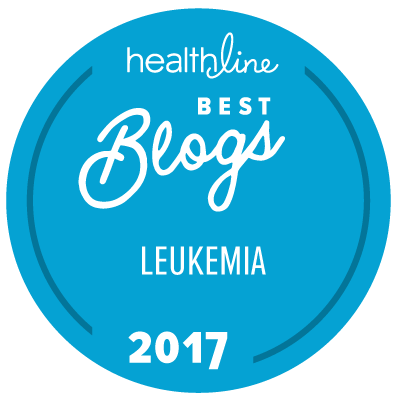 I became weary having to explain that I had a chronic type of leukemia, and that I would be undergoing treatment for the rest of my life. So, I got to thinking; I figured that I was not the only person still fighting the good fight. There were many patients that were still undergoing chemotherapy, radiation and in the throes of bone marrow transplants. Yes, we are all technically "surviving", however, we are still fighting, every single moment, of every single day. I felt that those of us that have yet to ring the "Cancer Free" bell, would be better served with a shirt that said "Fighter" on the back; in hopes to some day be cancer free and graduate to the "Survivor" status. I know that many people undergoing treatment may consider themselves "survivors" and I do feel as though I AM a survivor, per se, but in this arena, I feel that the differentiation between "Fighter" and "Survivor" is valid and important. Differentiating between "Survivors" and "Fighters" is a visual aid that shows all of the people participating in the Light the Night walk, clearly how many people are currently in treatment, and how many survivors, their efforts have saved. It allows those of us, who are undergoing treatment, to commiserate with one other, and clearly shows who we can congratulate on their success in beating blood cancer. It stops those of us, still in treatment, from having to explain that we don't have an "end"date...yet, and gives us a boost in the belief department, that we are warriors. Fortunately for me, our Boise LLS office stepped up to the plate and printed Survivor/Fighter shirts; which is not exactly what I want, although if they had Survivor/Fighter shirts AND shirts with just Survivor, I think that would be AWESOME!! I was told that the "head office" of the LLS gave the Boise office a little bit of grief over adding "Fighter" to our shirts. But in grand Boise fashion, our office stood up for the Fighters of Blood Cancer and did not back down; they had Survivor/Fighter shirts printed. The National LLS office feels as though all of the shirts should be the same, and that there should be unity across the board. SO, the Boise Chapter of the LLS is standing by me, and all of the blood cancer patients, still in treatment, and we are going to push to make "Fighter" shirts available for ALL chapters, in all cities and states, that hold a Light the Night Walk! We are doing our part, and I would love the help from all of you. If there is enough interest and enough comments, I will put together a petition that we can submit to the Leukemia & Lymphoma Society to push for next years Light the Night Walk, shirts; Fighter AND Survivor! Oh, Kelly!!! You are the sweetest!! I am so sorry for the loss of your faither and know how very proud he would be of you and all you are doing to help others with cancer; The Leukemia Lymphoma Society in Boise is so lucky to have you on our team! Isn't it funny how life sometimes works?